Rebecca MacKinnon, CONSENT OF THE NETWORKED & Ross Perlin, INTERN NATION. 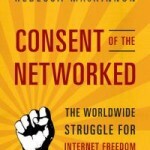 Rebecca MacKinnon talks about CONSENT OF THE NETWORKED: The Worldwide Struggle for Internet Freedom and we air an encore interview with Ross Perlin about INTERN NATION. It’s just been updated and released in paperback. On April 26, the US House of Representatives passed the Cyber Intelligence Sharing and Protection Act, or CISPA. It now moves to the Senate. It’s not the first, nor in all likelihood the last, assault on the privacy and freedom of internet users by governments and private companies. 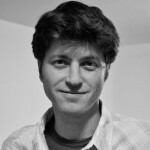 As the Arab Spring has shown, the Internet can be a tool for freedom and democratic expression. But the forces fighting to enclose the digital commons are mobilizing. Companies and governments want to control use for profit and power — and they’re using digital technology to corrode civil liberties and human rights. Big Brother IS watching you. Rebecca MacKinnon is a champion of digital civil rights. She’s co-founder of Global Voices, an international citizen media network and a Senior Fellow at the New America Foundation, where she writes about Internet policy. 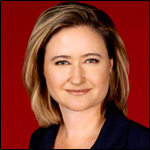 She also serves on the Boards of Directors of the Committee to Protect Journalists and the Global Network Initiative. CONSENT OF THE NETWORKED is about the threats to internet democracy — and the fight to protect it. This week, the Occupy movement and 99% groups held actions across the country to bring attention to economic inequality. The protests focused on a number of labor issues, including the rise in “precarious” labor — part time, un-benefitted, and freelance workers — as well as unpaid labor, as in internships. 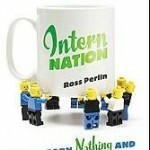 Last year, Ross Perlin told WV about his book, Intern Nation. It’s a hard-hitting exposé of the spread of unpaid internships — a phenomenon, Perlin says, that’s changing the face of labor. The book has just come out in paperback with a new forward. This wonderful new DVD set examines the human condition in literature and thought through interviews, archival footage, and commentary related to great novelists and thinkers who helped to shape 20th century culture. The set features such novelists as Virginia Woolf, Aldous Huxley, Elizabeth Bowen and T.H. White and includes such intellectual giants as Sigmund Freud — with the only audio interview he ever gave, at least in English — Margaret Mead, and, in an especially fascinating segment, psychologist Stanley Milgram, talking about his famed experiment that found that 60% of his very ordinary subjects were willing to torture an unseen victim when instructed to do so. I was spellbound watching these episodes — and hungered for more at the end. Watch archival footage of Stanley Milgram’s experiment and hear the psychologist speak. Writers Voice is produced by Francesca Rheannon with Associate Producer Drew Adamek and Webmaster Bill Weye.